Come summers and the roads come alive with the flowering trees in Delhi-Gurgaon. 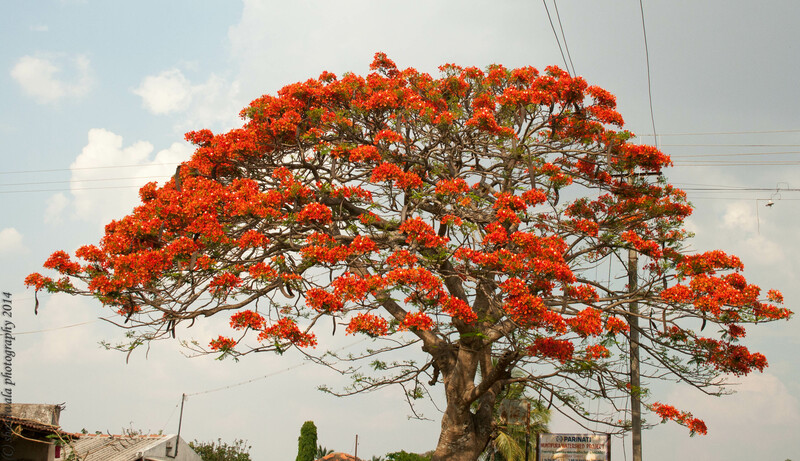 Right now its the flamboyant Gulmohar making its presence felt in the city. Everywhere one looks, one is greeted with the sight of clusters of crimson orange blooms on the branches. And most often once would also spot a bevy of butterflies flitting in and out of these blossoms, making for one very happy sight!